Beginning approximately one hour after Earhart's last recorded message, the USCG Itasca undertook an ultimately unsuccessful search north and west of Howland Island based on initial assumptions about transmissions from the aircraft. The United States Navy soon joined the search and over a period of about three days sent available resources to the search area in the vicinity of Howland Island. The initial search by the Itasca involved running up the 157/337 line of position to the NNW from Howland Island. The Itasca then searched the area to the immediate NE of the island, corresponding to the area, yet wider than the area searched to the NW. Based on bearings of several supposed Earhart radio transmissions, some of the search efforts were directed to a specific position 281 degrees NW of Howland Island without finding land or evidence of the flyers. Four days after Earhart's last verified radio transmission, on July 6, 1937 the captain of the battleship Colorado received orders from the Commandant, Fourteenth Naval District to take over all naval and coast guard units to coordinate search efforts. Later search efforts were directed to the Phoenix Islands south of Howland Island. A week after the disappearance, naval aircraft from the Colorado flew over several islands in the group including Gardner Island, which had been uninhabited for over 40 years. The subsequent report on Gardner read: "Here signs of recent habitation were clearly visible but repeated circling and zooming failed to elicit any answering wave from possible inhabitants and it was finally taken for granted that none were there... At the western end of the island a tramp steamer (of about 4000 tons)... lay high and almost dry head onto the coral beach with her back broken in two places. The lagoon at Gardner looked sufficiently deep and certainly large enough so that a seaplane or even an airboat could have landed or takenoff [sic] in any direction with little if any difficulty. Given a chance, it is believed that Miss Earhart could have landed her aircraft in this lagoon and swum or waded ashore." They also found that Gardner's shape and size as recorded on charts were wholly inaccurate. Other Navy search efforts were again directed north, west and southwest of Howland Island, based on a possibility the Electra had ditched in the ocean, was afloat, or that the aviators were in an emergency raft. The official search efforts lasted until July 19, 1937. At $4 million, the air and sea search by the Navy and Coast Guard was the most costly and intensive in US history up to that time but search and rescue techniques during the era were rudimentary and some of the search was based on erroneous assumptions and flawed information. Official reporting of the search effort was influenced by individuals wary about how their roles in looking for an American hero might be reported by the press. Despite an unprecedented search by the United States Navy and Coast Guard no physical evidence of Earhart, Noonan or the Electra 10E was found. The United States Navy Lexington aircraft carrier and Colorado battleship, the Itasca (and even two Japanese ships, the oceanographic survey vessel Koshu and auxiliary seaplane tender Kamoi) searched for six–seven days each, covering 150,000 square miles (390,000 km2). Immediately after the end of the official search, Putnam financed a private search by local authorities of nearby Pacific islands and waters, concentrating on the Gilberts. In late July 1937 Putnam chartered two small boats and while he remained in the United States, directed a search of the Phoenix Islands, Christmas Island, Fanning Island, the Gilbert Islands and the Marshall Islands, but no trace of the Electra or its occupants were found. A rescue attempt commenced immediately and became the most extensive air and sea search in naval history thus far. On July 19, after spending $4 million and scouring 250,000 square miles of ocean, the United States government reluctantly called off the operation. In 1938, a lighthouse was constructed on Howland Island in her memory. Across the United States there are streets, schools, and airports named after her. Her birthplace, Atchison, Kansas, has been turned into a virtual shrine to her memory. Amelia Earhart awards and scholarships are given out every year. Today, though many theories exist, there is no proof of her fate. There is no doubt, however, that the world will always remember Amelia Earhart for her courage, vision, and groundbreaking achievements, both in aviation and for women. In a letter to her husband, written in case a dangerous flight proved to be her last, this brave spirit was evident. "Please know I am quite aware of the hazards," she said. "I want to do it because I want to do it. Women must try to do things as men have tried. When they fail, their failure must be but a challenge to others." Many researchers believe the Electra ran out of fuel and Earhart and Noonan ditched at sea. Navigator and aeronautical engineer Elgen Long and his wife Marie K. Long devoted 35 years of exhaustive research to the "crash and sink" theory, which is the most widely accepted explanation for the disappearance. Capt. Laurance F. Safford, USN, who was responsible for the interwar Mid Pacific Strategic Direction Finding Net, and the decoding of the Japanese PURPLE cipher messages for the attack on Pearl Harbor, began a lengthy analysis of the Earhart flight during the 1970s. His research included the intricate radio transmission documentation. Safford came to the conclusion, "poor planning, worse execution." Rear Admiral Richard R. Black, USN, who was in administrative charge of the Howland Island airstrip and was present in the radio room on the Itasca, asserted in 1982 that "the Electra went into the sea about 10 am, July 2, 1937 not far from Howland". British aviation historian Roy Nesbit interpreted evidence in contemporary accounts and Putnam's correspondence and concluded Earhart's Electra was not fully fueled at Lae. William L. Polhemous, the navigator on Ann Pellegreno's 1967 flight which followed Earhart and Noonan's original flight path, studied navigational tables for July 2, 1937 and thought Noonan may have miscalculated the "single line approach" intended to "hit" Howland. David Jourdan, a former Navy submariner and ocean engineer specializing in deep-sea recoveries, has claimed any transmissions attributed to Gardner Island were false. Through his company Nauticos he extensively searched a 1,200-square-mile (3,100 km2) quadrant north and west of Howland Island during two deep-sea sonar expeditions (2002 and 2006, total cost $4.5 million) and found nothing. The search locations were derived from the line of position (157–337) broadcast by Earhart on July 2, 1937. Nevertheless, Elgen Long's interpretations have led Jourdan to conclude, "The analysis of all the data we have – the fuel analysis, the radio calls, other things – tells me she went into the water off Howland." Earhart's stepson George Palmer Putnam Jr. has been quoted as saying he believes "the plane just ran out of gas." Thomas Crouch, Senior Curator of the National Air and Space Museum, has said the Earhart/Noonan Electra is "18,000 ft. down" and may even yield a range of artifacts that could rival the finds of the Titanic, adding, "...the mystery is part of what keeps us interested. In part, we remember her because she's our favorite missing person." Immediately after Earhart and Noonan's disappearance, the United States Navy, Paul Mantz and Earhart's mother (who convinced G.P. Putnam to undertake a search in the Gardner Group) all expressed belief the flight had ended in the Phoenix Islands (now part of Kiribati), some 350 miles (560 km) southeast of Howland Island. In July 2007, an editor at Avionews in Rome called the Gardner Island hypothesis the "most confirmed" explanation of Earhart's disappearance. 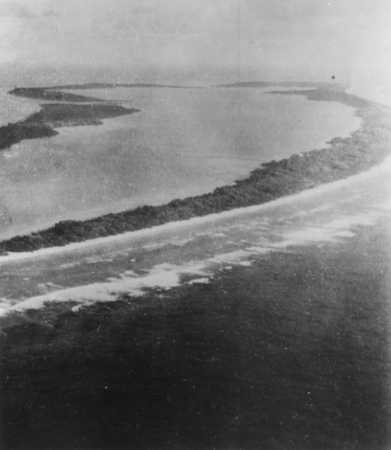 The International Group for Historic Aircraft Recovery (TIGHAR) has suggested Earhart and Noonan may have flown without further radio transmissions for two-and-a-half hours along the line of position Earhart noted in her last transmission received at Howland, arrived at then-uninhabited Gardner Island (now Nikumaroro) in the Phoenix group, landed on an extensive reef flat near the wreck of a large freighter and ultimately perished. TIGHAR's research has produced a range of documented archaeological and anecdotal evidence supporting this hypothesis. For example, in 1940, Gerald Gallagher, a British colonial officer and licensed pilot, radioed his superiors to inform them that he had found a "skeleton... possibly that of a woman", along with an old-fashioned sextant box, under a tree on the island's southeast corner. He was ordered to send the remains to Fiji, where in 1941, British colonial authorities took detailed measurements of the bones and concluded they were from a stocky male. However, in 1998 an analysis of the measurement data by forensic anthropologists indicated the skeleton had belonged to a "tall white female of northern European ancestry." The bones themselves were misplaced in Fiji long ago. Artifacts discovered by TIGHAR on Nikumaroro have included improvised tools, an aluminum panel (possibly from an Electra), an oddly cut piece of clear Plexiglas which is the exact thickness and curvature of an Electra window and a size 9 Cat's Paw heel dating from the 1930s which resembles Earhart's footwear in world flight photos. The evidence remains circumstantial, but Earhart's surviving stepson, George Putnam Jr., has expressed enthusiasm for TIGHAR's research. A 15-member TIGHAR expedition visited Nikumaroro from July 21 to August 2, 2007, searching for unambiguously identifiable aircraft artifacts and DNA. The group included engineers, environmentalists, a land developer, archaeologists, a sailboat designer, a team doctor and a videographer. They were reported to have found additional artifacts of as yet uncertain origin on the weather-ravaged atoll, including bronze bearings which may have belonged to Earhart's aircraft and a zipper pull which might have come from her flight suit. The unresolved circumstances of Amelia Earhart's disappearance, along with her fame, attracted a great body of other claims relating to her last flight, all of which have been generally dismissed for lack of verifiable evidence. Several unsupported theories have become well known in popular culture. A World War II-era movie called Flight for Freedom (1943) starring Rosalind Russell and Fred MacMurray furthered a myth that Earhart was spying on the Japanese in the Pacific at the request of the Franklin Roosevelt administration. By 1949, both the United Press and U.S. Army Intelligence had concluded this rumor was groundless. 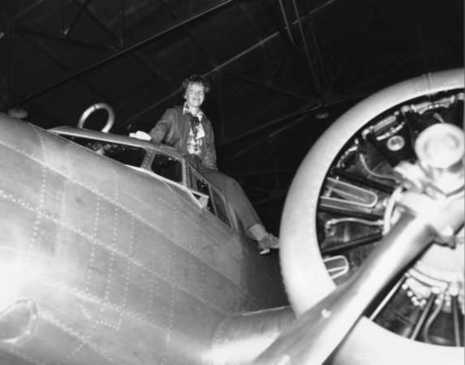 Jackie Cochran, a pioneer aviatrix and one of Earhart's friends, made a postwar search of numerous files in Japan and was convinced the Japanese were not involved in Earhart's disappearance. In 1966, CBS Correspondent Fred Goerner published a book claiming Earhart and Noonan were captured and executed when their aircraft crashed on Saipan Island, part of the Northern Marianas archipelago while it was under Japanese occupation. In 2009, an Earhart relative stated that the pair died in Japanese custody, citing unnamed witnesses including Japanese troops and Saipan natives. He said that the Japanese cut the valuable Lockheed aircraft into scrap and threw the pieces into the ocean. Thomas E. Devine (who served in a postal Army unit) wrote Eyewitness: The Amelia Earhart Incident which includes a letter from the daughter of a Japanese police official who claimed her father was responsible for Earhart's execution. Former U.S. Marine Robert Wallack claimed he and other soldiers opened a safe on Saipan and found Earhart's briefcase. Former U.S. Marine Earskin J. Nabers claimed that while serving as a wireless operator on Saipan in 1944, he decoded a message from naval officials which said Earhart's aircraft had been found at Aslito AirField, that he was later ordered to guard the aircraft and then witnessed its destruction. In 1990, the NBC-TV series Unsolved Mysteries broadcast an interview with a Saipanese woman who claimed to have witnessed Earhart and Noonan's execution by Japanese soldiers. No independent confirmation or support has ever emerged for any of these claims. Purported photographs of Earhart during her captivity have been identified as either fraudulent or having been taken before her final flight. Since the end of World War II, a location on Tinian, which is five miles (eight km) southwest of Saipan, had been rumoured to be the grave of the two aviators. In 2004 a scientifically supported archaeological dig at the site failed to turn up any bones. A rumor which claimed that Earhart had made propaganda radio broadcasts as one of the many women compelled to serve as Tokyo Rose was investigated closely by George Putnam. 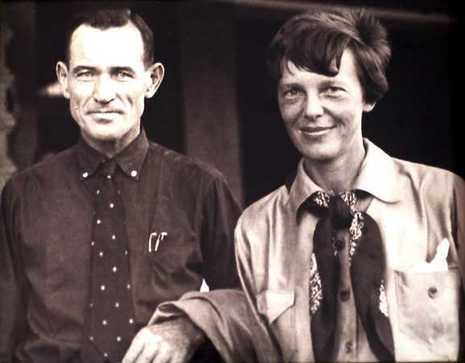 According to several biographies of Earhart, Putnam investigated this rumor personally but after listening to many recordings of numerous Tokyo Roses he did not recognize her voice among them. David Billings, an Australian aircraft engineer, has asserted a map marked with notations consistent with Earhart's engine model number and her airframe's construction number, has surfaced. It originates from a World War II Australian patrol stationed on New Britain Island off the coast of New Guinea and indicates a crash site 40 miles (64 km) southwest of Rabaul. Billings has speculated Earhart turned back from Howland and tried to reach Rabaul for fuel. Ground searches have been unsuccessful. In November 2006, the National Geographic Channel aired episode two of the Undiscovered History series about a claim that Earhart survived the world flight, moved to New Jersey, changed her name, remarried and became Irene Craigmile Bolam. This claim had originally been raised in the book Amelia Earhart Lives (1970) by author Joe Klaas, based on the research of Major Joseph Gervais. Irene Bolam, who had been a banker in New York during the 1940s, denied being Earhart, filed a lawsuit requesting $1.5 million in damages and submitted a lengthy affidavit in which she refuted the claims. The book's publisher, McGraw-Hill, withdrew the book from the market shortly after it was released and court records indicate that they made an out of court settlement with her. Subsequently, Bolam's personal life history was thoroughly documented by researchers, eliminating any possibility she was Earhart. Kevin Richlin, a professional criminal forensic expert hired by National Geographic, studied photographs of both women and cited many measurable facial differences between Earhart and Bolam.